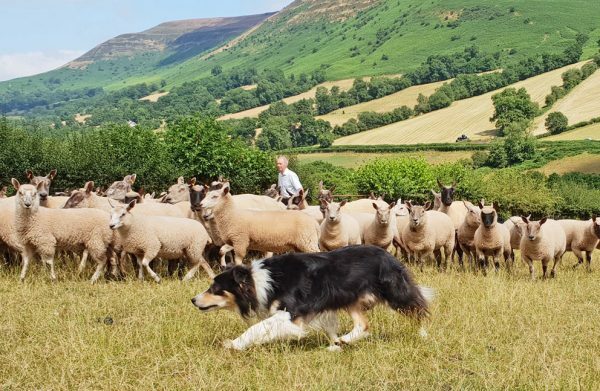 Dog-lovers will adore this great experience day with working sheep dogs in Wales. A great gift for sheepdog and dog lovers. Give the chance to move sheep around a farm with a traditional Welsh Hill farmer and one of his Welsh Border Collies, watching the farmer and having a go. With stunning views across the valley, this special experience shows the special relationship between one man and his dog and gives you an insight into this amazing working relationship. 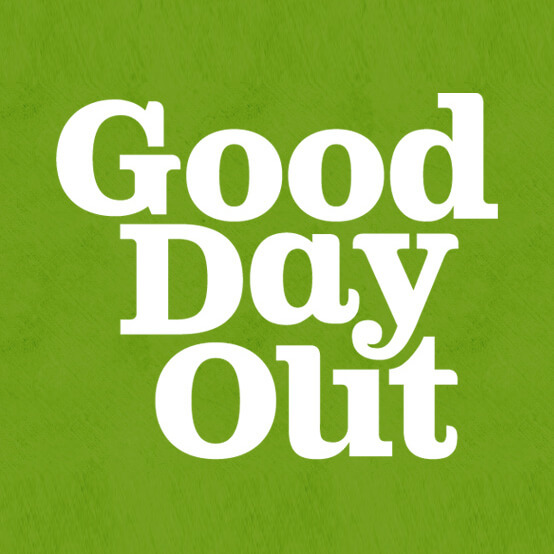 As an added benefit, all Good Day Out activities and adventures help good causes. This experience also gives a donation to farming charity RABI for every date that is booked. The Gift Vouchers are undated and valid a year to book. If you want to book a specific date please go to our experience page and use the calendar – we automatically send gift cards with the vouchers so you won’t need to request this. Alternatively call or send us an enquiry for quick friendly help and advice. E-vouchers are free, but we can also deliver with a gift card to you or straight to the recipient with your own message. 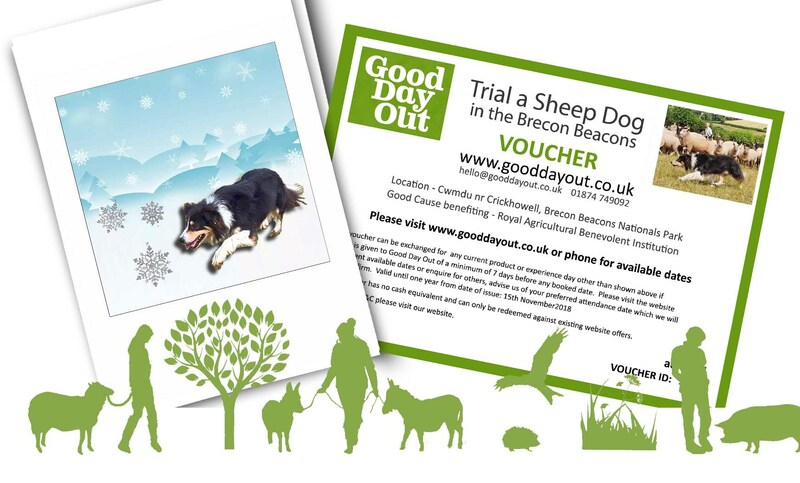 All vouchers can also be redeemed against any other Good Day Out experience days and we pride ourselves in being as helpful as we can for our visitors to have the best experience possible. This small group experience is a maximum of 6 people and lasts 90 minutes including a cuppa with the farmer and his wife. Children must be accompanied by a paying adult. We regret that your own dogs are not welcome due to the livestock and nature of the experience.